This image was taken in the daylight on an overcast day. 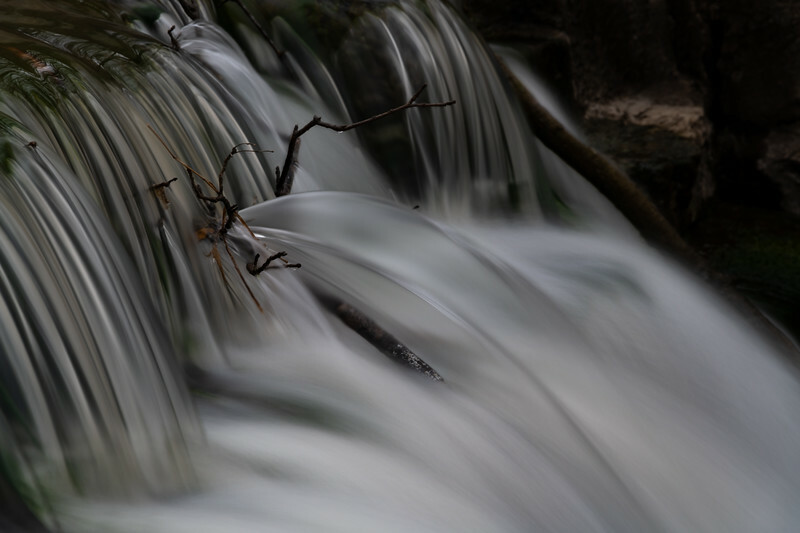 I liked the way the small branches turned the flow into a neat spew of water. I took this image around 10:30PM on a dark night with very little ambient light reflecting on the spillway. I used my light painting rig to illuminate the scene and combined three frames in Photomatix (HDRI) software. This is a single shot of the illuminated flow. Much fun trying after dark photography. 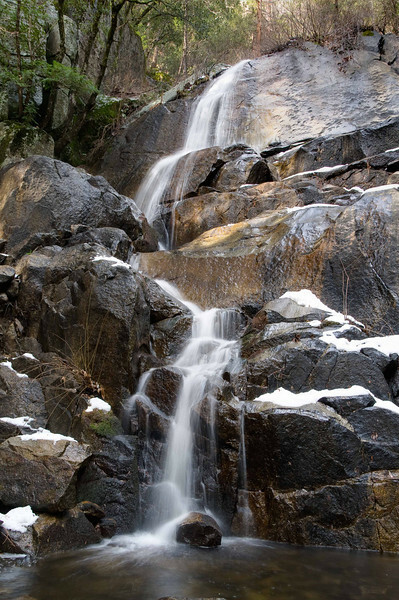 Just below Copeland Falls you'll find this neat cascade. A .3 mile hike from the parking area takes you to this small, but nice, little waterfall. The overcast day provided even light across the scene. 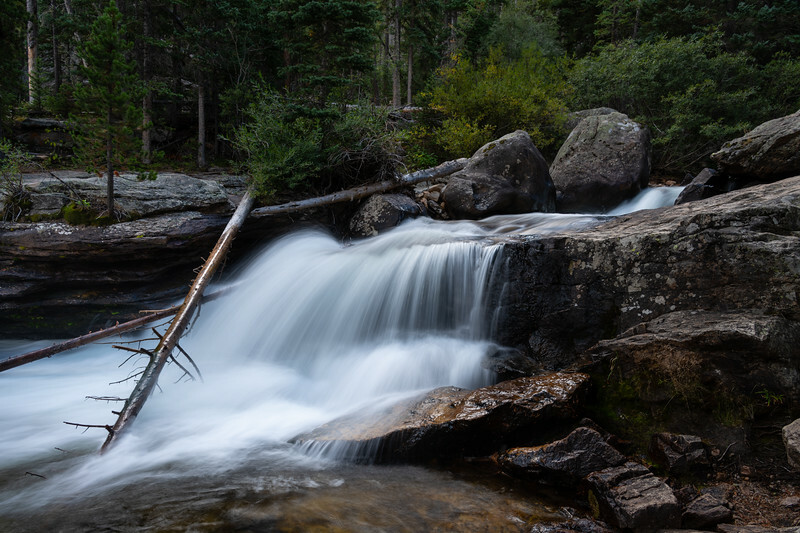 The Alluvial Fan located in Rocky Mountain NP. 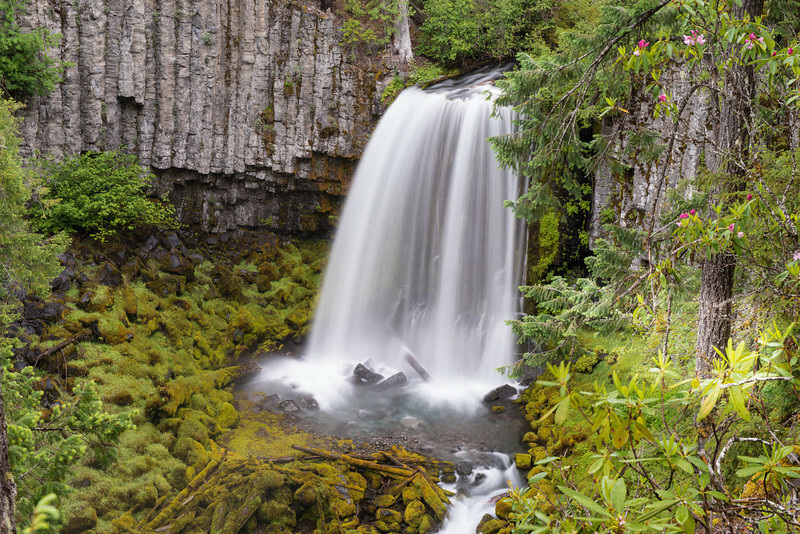 Closer view of National Creek Falls, Oregon. 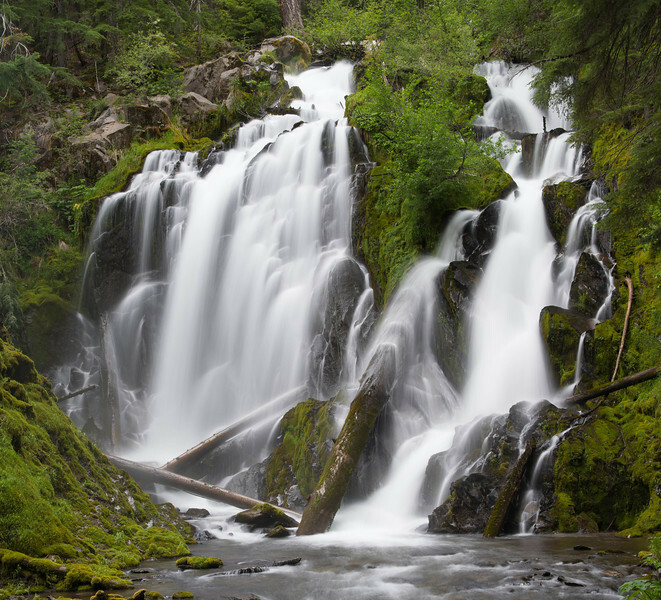 National Creek Falls, Oregon. We slowly worked our way across fallen tree bridges to get to the side of the creek that offered the best view of the Falls. I walked over and scooted back, but I didn't fall in the creek! Rick walked both ways, show-off! 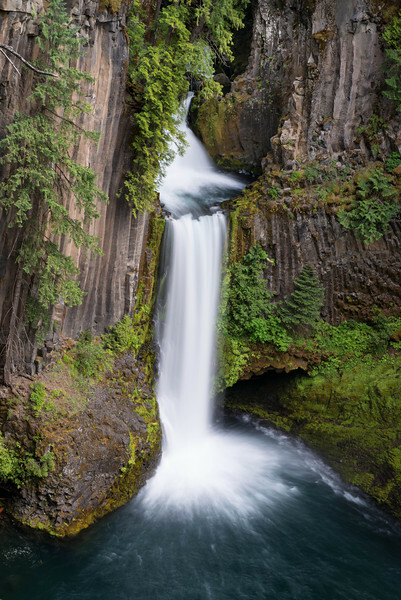 Zoomed in on Warm Springs Falls, Oregon. McPhisto Falls after sunset. This is a 3 image HDRI processed in Photomatix and finished in Lightroom 3. 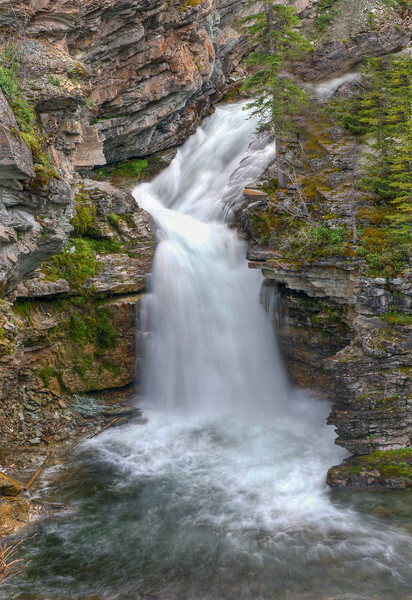 Natural Bridge Falls is South of Big Timber Montana on Highway 298. This image shows the path the river takes as it plunges underground above the falls. Natural Bridge Falls at the bottom of the underground tunnel that starts 100 yards up stream. The drop here is 35 feet to the river below. 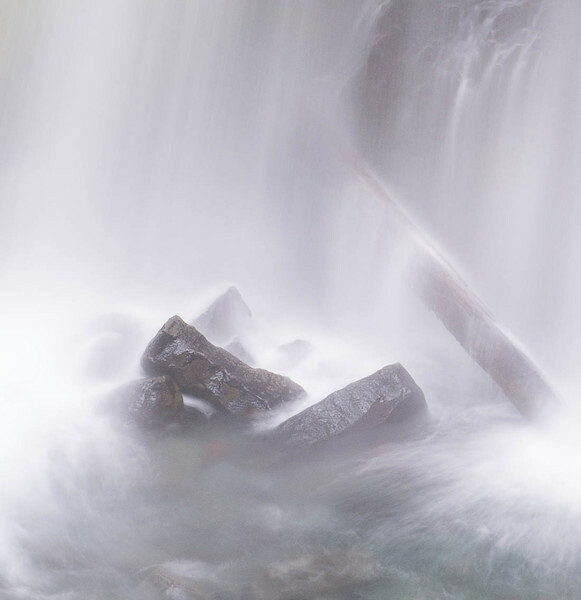 This image was taken 100 feet above the falls from a ledge at the end of the falls trail. This is a view from the top of the tunnel where the water drops 40 feet into the opening that leads to the lower out-fall. From this vantage point the rock vibrates with the power of the water crashing through the tunnel below our feet. McPhisto Falls HDRI. This image was taken after the sun had set behind the mountains. Three frames processed in Photomatix. 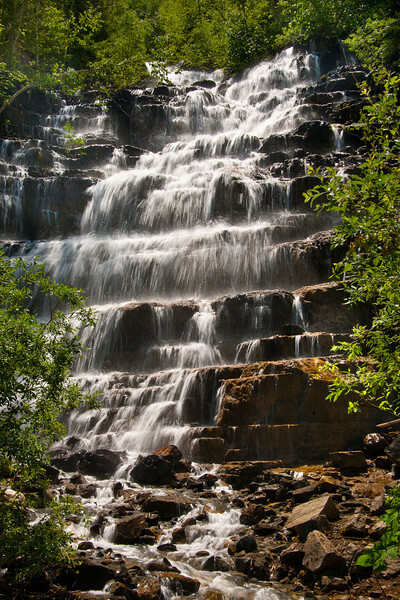 This cascade and waterfall in Waterton NP is along the road that leads into the park. It doesn't have an official name, but it was too captivating to pass up on the trip into the park. HDRI processed in Photomatix. 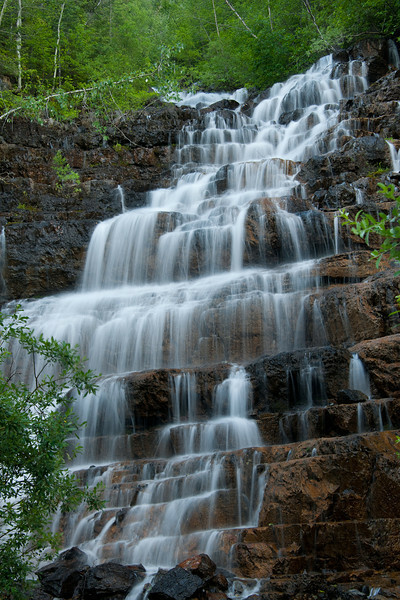 This waterfall is named after a real Indian Princess that was placed in a tree overlooking the falls when she died. 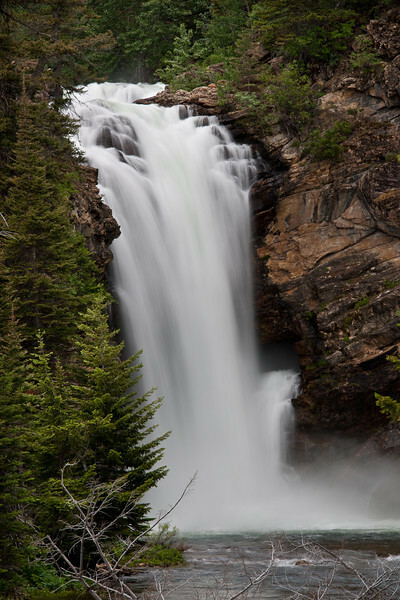 Her name was Running Eagle, and so the falls now shares her name. If you look closely, you can see that this is really two falls. 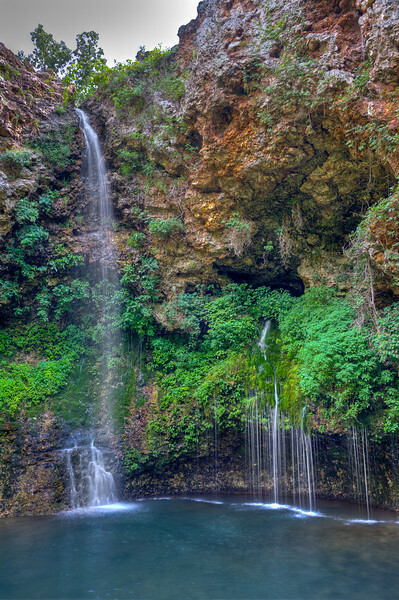 The upper falls is obvious, but the lower falls actually comes out of a cave in the lower third of the image. 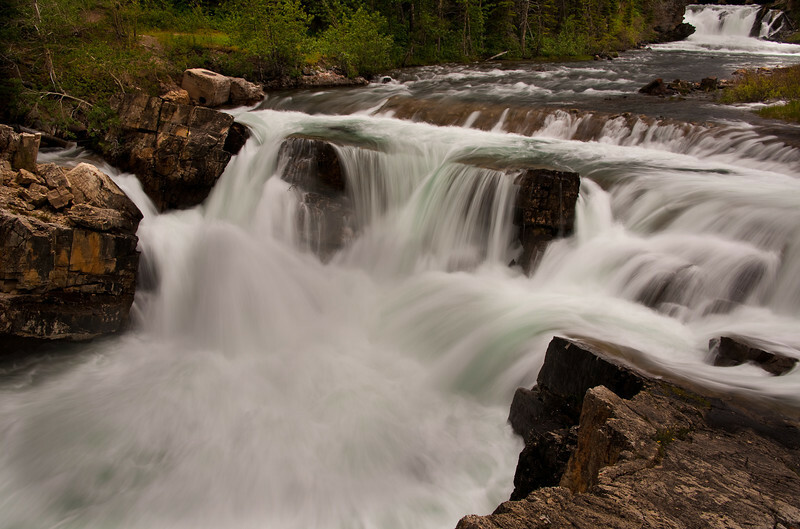 Normally, only the lower falls would be seen this time of the year, but with the large snow fall and rains this winter/spring, it's still going strong from both water flows. 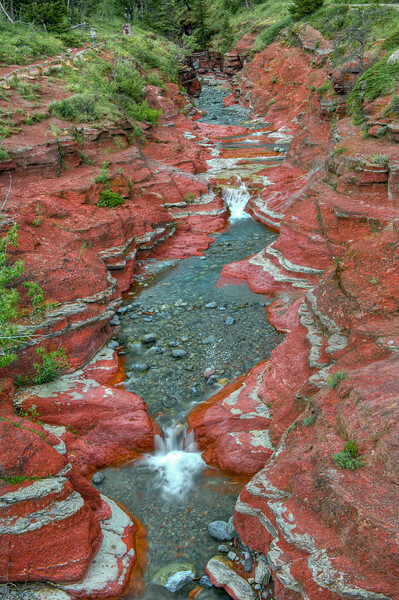 Blakiston Falls is at the end of a trail that leads out of Red Rock Canyon in Waterton NP on the Canadian side of the NP. This image is an HDRI processed in Photomatix. Going to the Sun Road. 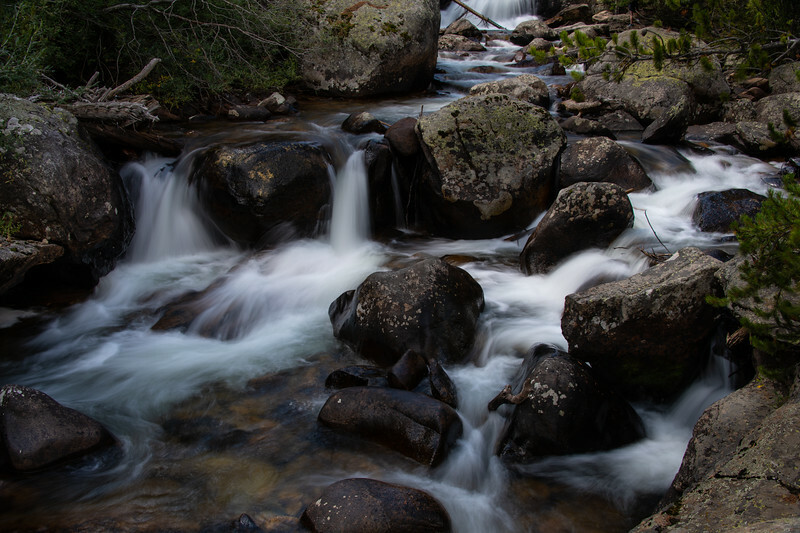 Another cascade and short waterfall on McDonald creek. 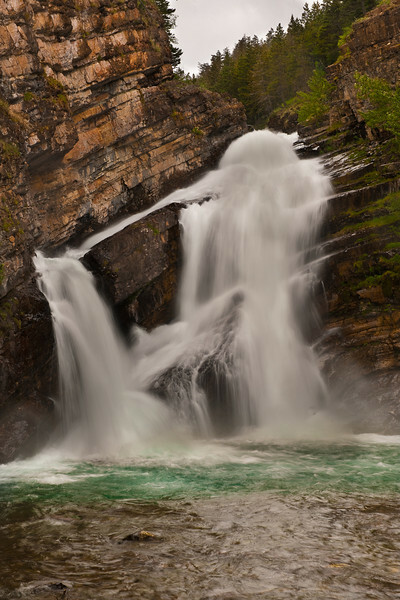 Going to the Sun Road from West to East takes you by McDonald Creek and a number of beautiful cascades like this one. 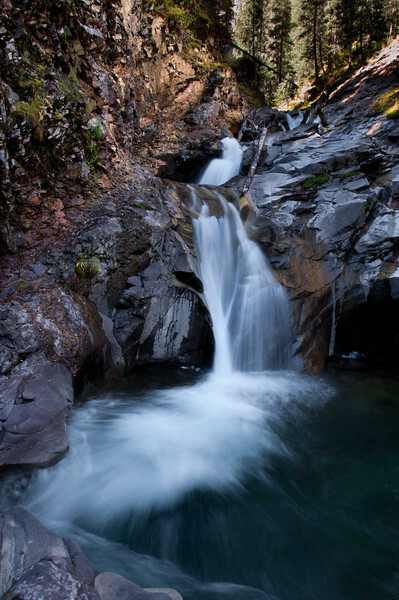 Highway 2 between St. Mary and West Glacier took us by "McPhisto Falls" 34 miles East of the town of West Glacier. This image is a single image taken as the sun shown down directly from above the falls. 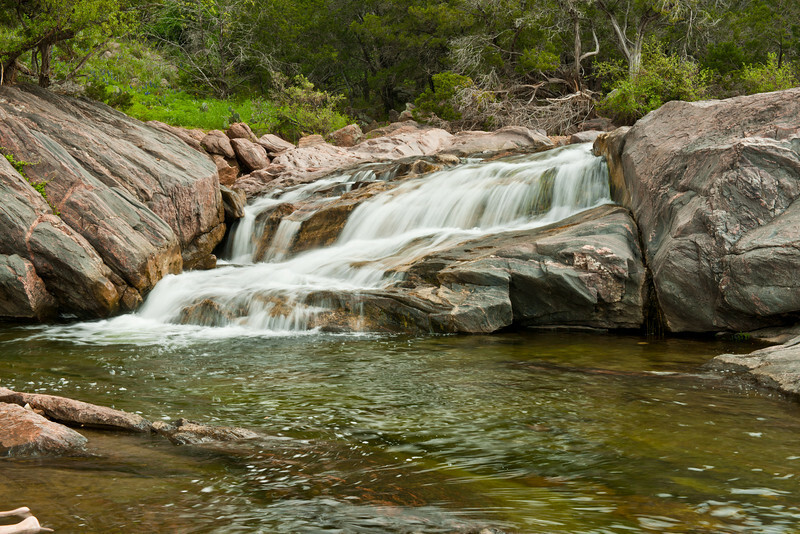 A small waterfall fed from a creek that runs into Inks Lake inside the state park. 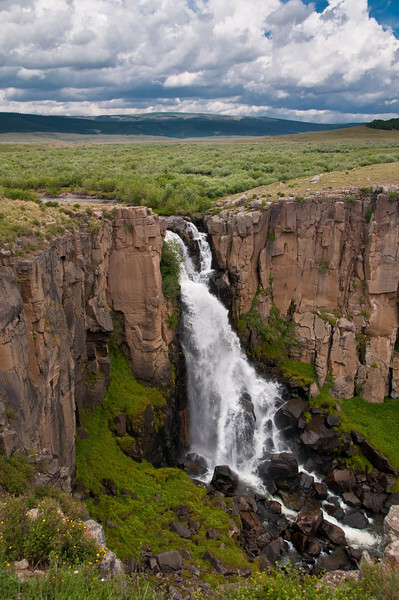 Clear Creek Falls in Southern Colorado.